On Friday, John Hays made the trek over to the Casa Grande's Kiwanis Invitational to catch the action from some of the top teams in southern Arizona. 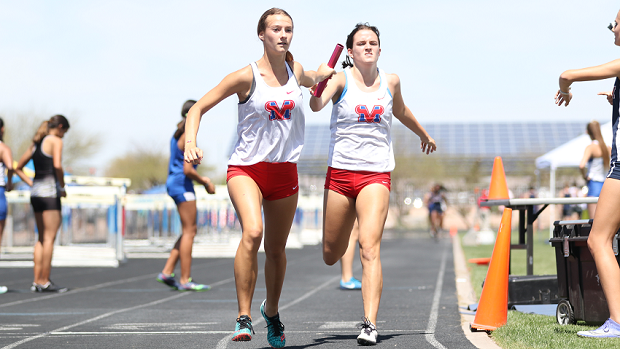 Here, the Lady Toros of Mesa Mountain View executed a text book handoff in the Girls' 4x800m relay. Check out almost 3,400 photos taken on Friday afternoon.